Transforming a basic set of door plans into a grand entrance—be it to the house or to the closet—takes less effort than you might imagine. Come right in and check out these inspiring do-it-yourself constructions. At its core, a door’s construction is mostly the same; learn to build one, and you can fashion as many as your home has doorways. The small details like color, texture, and hardware distinguish the designs: These can take a door design from suburban to rustic, traditional to modern, or subtle to bold. 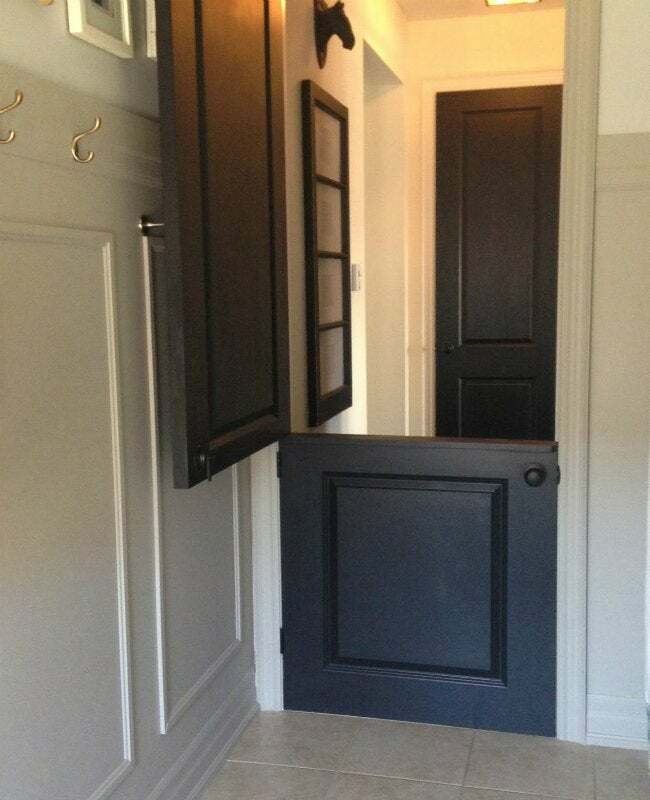 Whether you’re hoping to build a grand entrance to your home or covering a more private space like a bedroom closet, these five inventive ideas for how to build a door will open the metaphorical door to all of the possibilities for your next weekend project. A screen door outside a front or back entrance is a must, especially in temperate climates where homes truly benefit from a passing breeze. Stuck without one for her own abode, The DIY Dreamer Christine and her crafty team of helpers measured, sketched out, cut, and assembled 1×6 and 1×8 lumber into a simple frame design to fit the front door. Molding hides where they secured the screen for a professional touch, and a cheerful coat of pistachio green sets the door apart from all the rest on her block. If you share your home with children or pets, you likely know the value of a baby gate: It can be a lifesaver when you need need to keep an eye (or an ear) on your favorite small creatures from another space. A set of Dutch doors offers builds this function right into your door frame for an even more elegant solution. 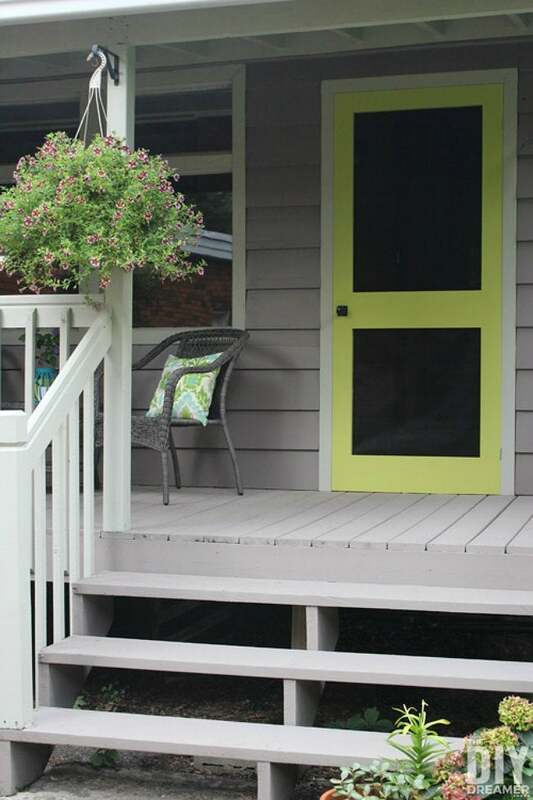 Rather than replace the existing door altogether, blogger Chris Kauffman of Just Beachy discovered how to work with what you’ve got. By cutting her door in two, lowering the doorknob to the bottom swinging portion, and installing a sliding latch to unify the pieces, overhauling her old door cost only $30 and the extra attention to detail. 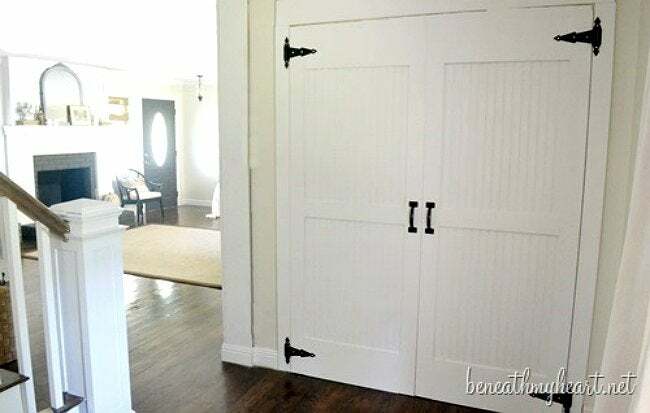 Particularly perfect for homes where space is a commodity, sliding doors (also known as barn doors) create additional space for you to by freeing up the 90-degree “pie piece” that otherwise has to be kept clear in order for a hinged door to swing open. 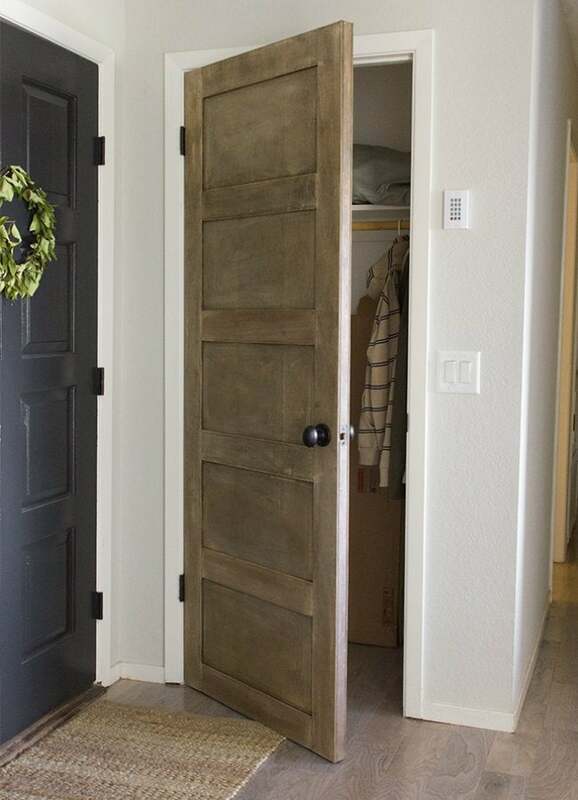 Fearless DIYer Ama of Ohoh Blog constructed this dark chocolate-colored door with sanded 8-foot lumber and door pulls, then hung it with hitch rings from a wall-mounted curtain rod. The rubber casters fastened to its bottom provides just the mobility to pull open or shut. To punch up a cookie-cutter interior door with more color, texture, and personality, consider adding some character by reworking its facade. Here, Jenna Sue Design starts sprucing up what she calls the “cheap-o hollow core synthetic wood deal” that covers her coat closet using a cemented-on sheet of faux wood veneer. 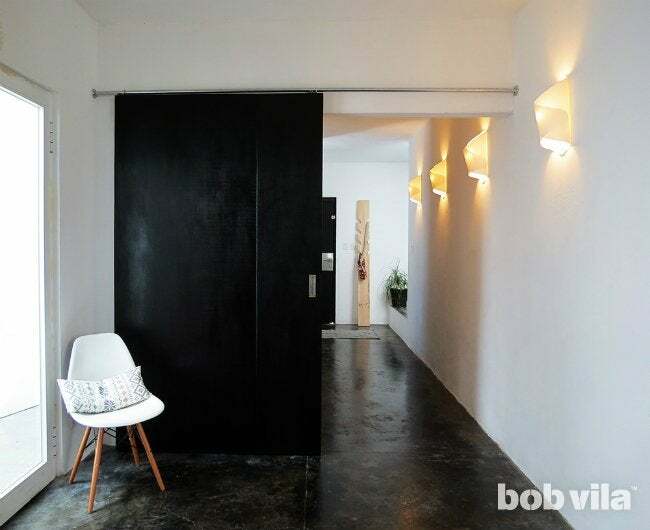 The depth created with vertical and horizontal plywood panels, a blend of stains, and a good sanding take the door the extra mile to a convincingly worn and weathered look. The resulting charm complements neutral farmhouse decor and the rest of the entryway’s shabby chic aesthetic. Fed up with uninspired folding doors? That’s just the feeling that prompted this transformation from Traci of Beneath My Heart, whose ranch-turned-polished farmhouse was anything but average. She tore the closet’s eyesores from their track to switch to the swinging variety. Sheets of bead board, two pairs of gate hinges, and door pulls spray painted black to match make a starting set of plain-Jane hollow core doors simply unrecognizable.